I’m sick over this shot. Zoos are supposed to be safe havens for animals and provide educational venues for families to learn about animals. Ownership of animals should NOT be so damn controversial and political that people go into a zoo and burn down it’s recording studio and killing animals in the process. Was this done by some Animal Rights Fanatic trying to progress their agenda by shutting down this studio while lawmakers and the government are making important decisions over animal ownership or was this because someone has a personal vendetta against Joe Schreibvogel ??? No matter who did it-it is a great tragedy for the zoo and it’s just lucky there weren’t more deaths than the gators. 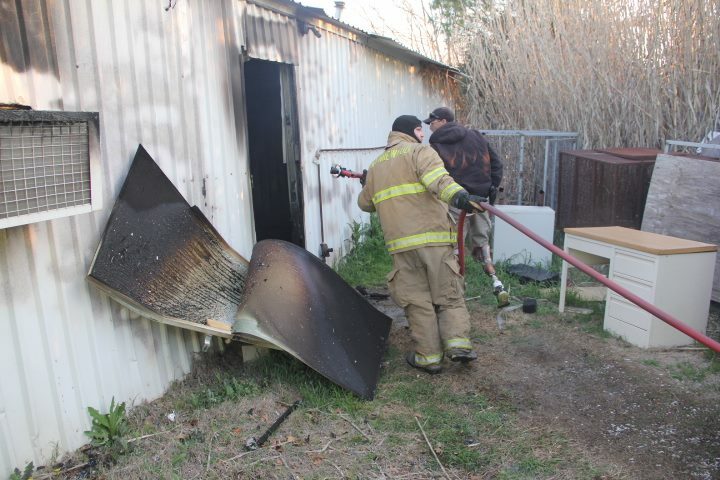 If you would like to help, clean up is this weekend…Below is a link to a page collecting donations to rebuild the studio. 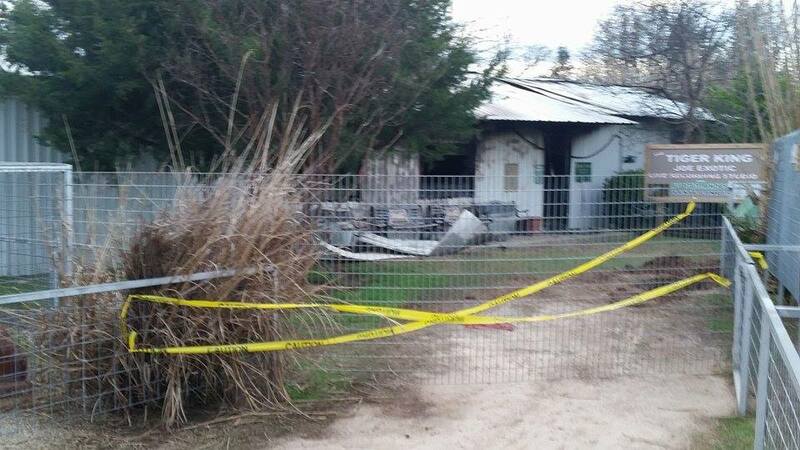 WYNNEWOOD, Okla. — An arson fire Thursday morning at the GW Interactive Zoo killed several reptiles and burned a recording studio. 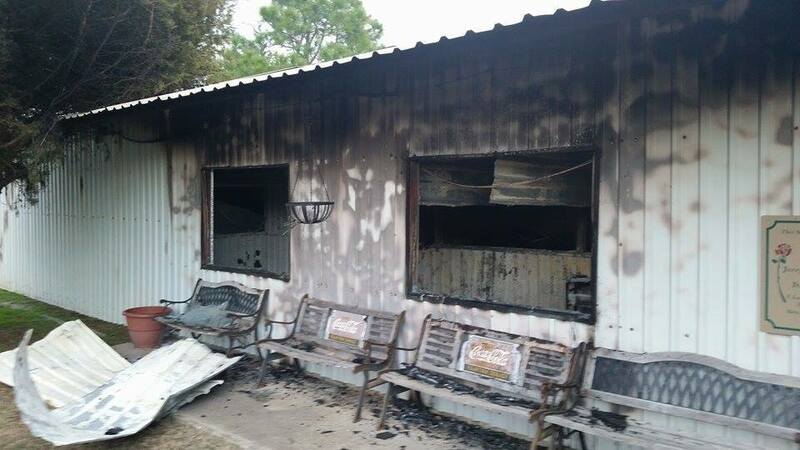 Garvin County Sheriff Larry Rhodes said there are still no suspects in the arson, but they’re hoping that’ll change once they review surveillance video. 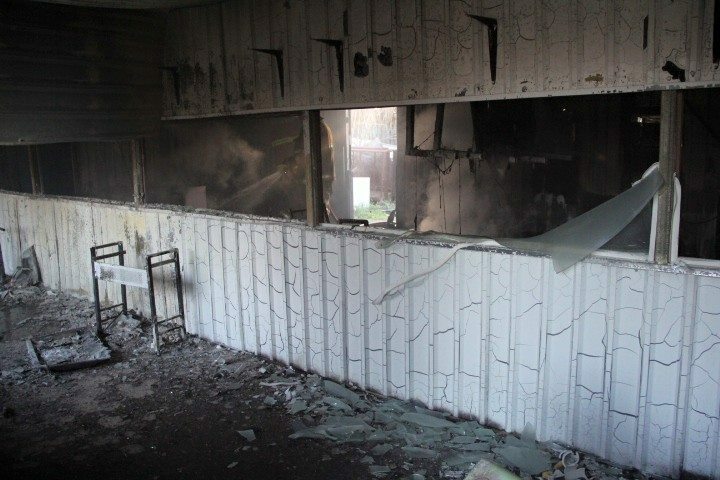 The building that houses the alligators was completely destroyed by fire. Entertainment Director Joe Schreibvogel, also known as Joe Exotic, says it will cost a quarter of a million dollars to fix, and federal court records show he’s already in bankruptcy. “The building can be replaced the equipment can be replaced but Michael Jackson’s alligators cannot be replaced,” Schreibvogel said. Schreibvogel maintains that one of two alligators killed in the fire was once owned by the late King of Pop, Michael Jackson. The other alligator reportedly once owned by Jackson suffered severe smoke inhalation and is recovering. Rhodes said while there’s no suspect right now. He hopes that surveillance video will lead them to a person of interest. Rhodes says whoever set this fire would have to have knowledge of the animal park and plan the crime in advance. Schreibvogel says he’s received threats before, and said this may be a form of harassment. “There’s been allegations that these are results of animal rights group that may be targeting the park in the form of harassment and even vandalism,” Rhodes said. Rhodes says he believes more information will be available next week. Tragedy at the GW Zoo. On March 26th, 2015 we woke to discover that sometime in the night our television studio and alligator house had been burned to the ground. Complete devastation. Years of work lost. A heart break that will not be easily mended. We need your help. We need to rebuild the studio and the alligator enclosure. 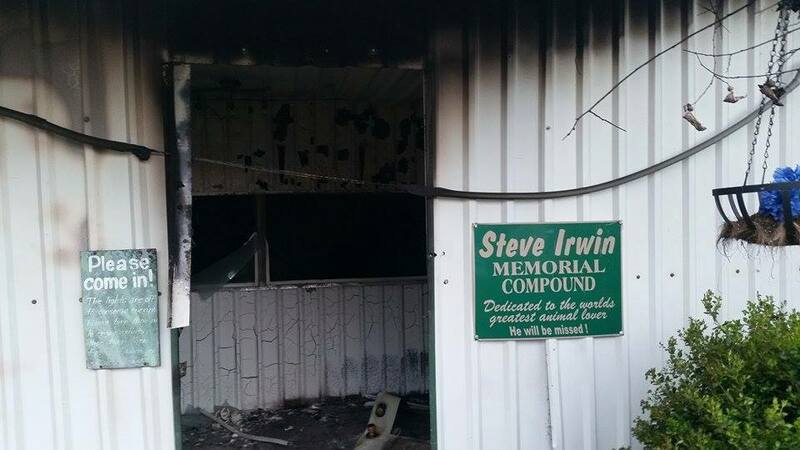 The building was named the Steve Irwin Compound, in honor of the late Crocodile Hunter. Aside from the strife we feel for this loss, we of course want to heal our monument built to a great man. We need to heal our park after this attack. We are asking for $150,000 for this endeavor. $125,000 to rebuild the ruined piece of our zoo, our home. $25,000 as a reward for bringing the culprit to justice. This was not random. Someone targeted our zoo. We need your help to right this wrong. For the baby gators who died in the fire. For the memorabilia turned to ashes. To make the zoo whole again. Give what you can. Thank you. ~ by topcatsroar on March 28, 2015.